Hand-forged front gates lend an inviting, Old World feel. 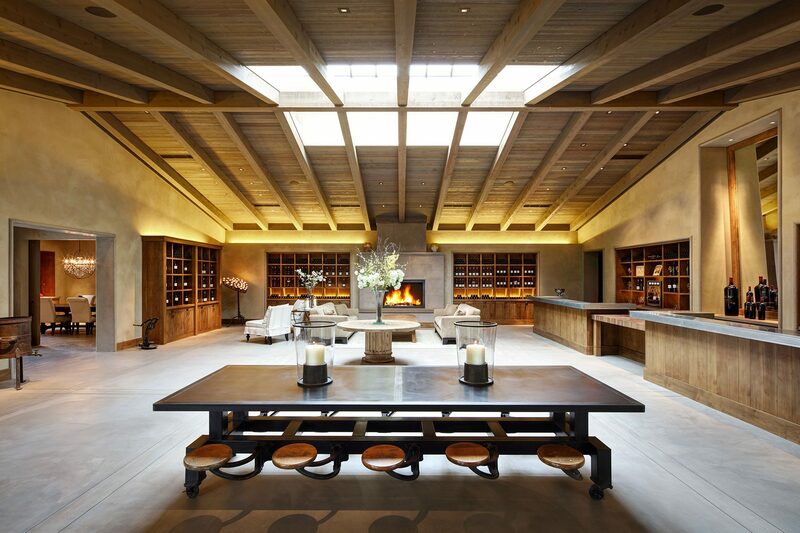 This winery’s tasting room has classic touches, incorporated into the contemporary building. 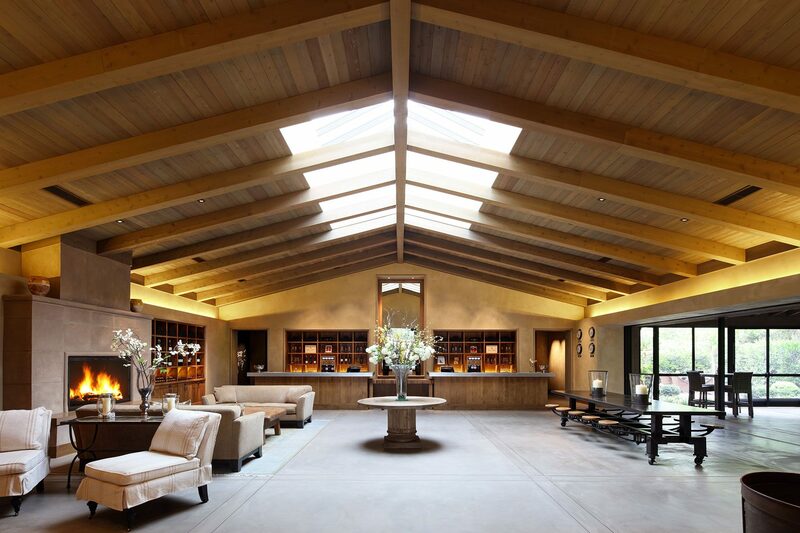 The Old World feel is seen in hand-forged front gates, steel windows, and wine cabinetry of stained elderberry wood. The 4,000 sf building has 17-inch thick walls, emphasized in the architecture and providing superior insulation. 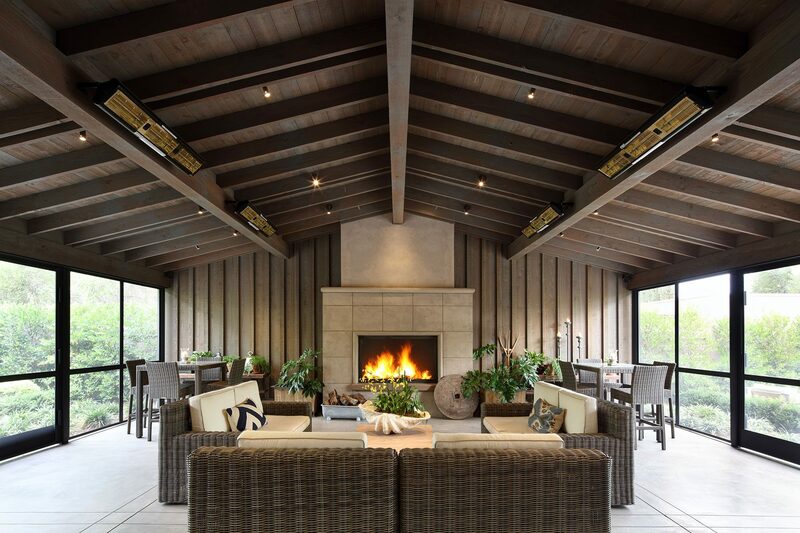 Concrete stone plaster and wood are used throughout, with concrete counters and fireplace. 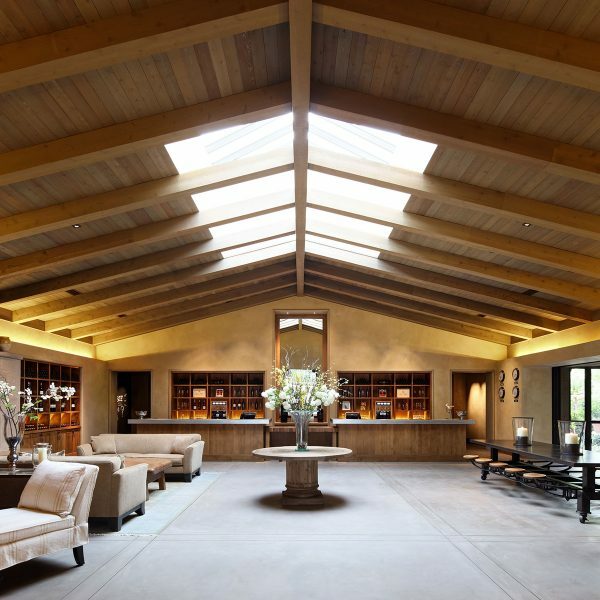 Solar energy provides 60% of the power, an offset to the winery’s carbon footprint.